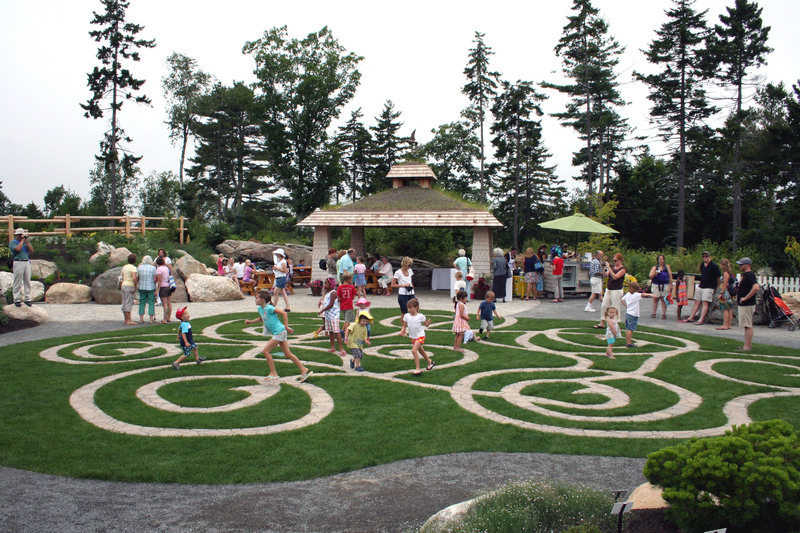 This summer the Coastal Maine Botanical Gardens opened its Children’s Garden, a 2-acre $1.7 million garden, in the planning for several years. 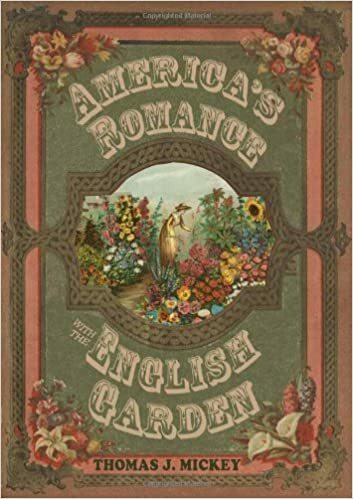 Special features include a maze that is ground level, and based on Veronica’s Maze, a 16th century embroidery featured on the Great Bed at the house that is part of the grounds of Parham Park in southern England. The child simply follows a path, cut out in a lawn. Lots of other activites for children fill the garden, including a contest called Beanpole Olympics where a child can guess which bean plant will grow the tallest. Chickens make this garden extra special. Something not too many botanical gardens feature. There are eight chickens, egg layers that will start laying in late winter. What’s so special about this garden is the maze, based on a 16th century English embroidery design. 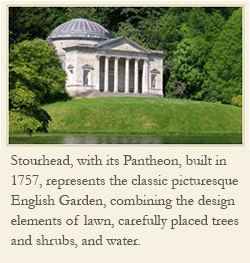 An English design became the inspiration for an American garden. The maze at the new Children’s Garden, part of the Coastal Maine Botanical Gardens, north of Portland. [Image courtesy of CMBG. I see that my copyright design of Veronica’s Maze has been used in Maine Children’s Garden without my prior involvement or permission. When one of my maze designs is used or recreated, customarily I am involved in its specification and manifestation, as well as the explanatory signage and information (to help visitors get the most out of the design and the experience of walking it). Also, the maze designer should be attributed, and a royalty involved. Adrian, thank you for contacting me. I ask you to reach out to the Maine Botanical Garden. They certainly would like to know that the design of Veronica’s Maze is yours.